As a new employee here at Chittak I have had to learn many new things, one of which was SVN. 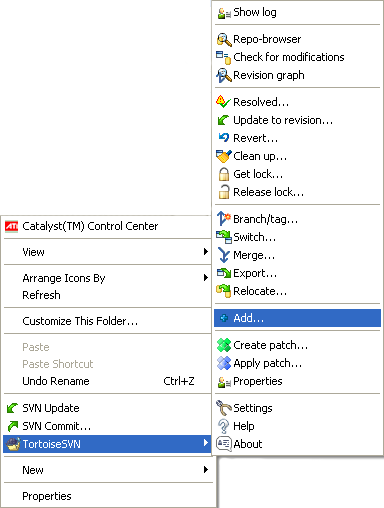 Here is a little guide to getting started with SVN and what it can do. Download the latest TortoiseSVN here. SVN stands for Subversion and is a version control system that solves the problem of multiple developers working on the same project. To start you will need a folder to put the website in for changes. 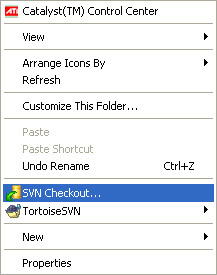 Once created you need to right click and go to "SVN Checkout..."
Now it will bring up a new window called ‘checkout’ which if you change the ‘URL of the repository’ to the server web address where the files live, then you need to make sure that you type /trunk at the end of the URL. The reason you will need to add the trunk folder is because the system is like a tree, it has a trunk which is the root of the website where everything sits on, and then it has branches which are previous versions of the files. These are always kept as another form of backing up so that if you do make a big mistake you can always go back to the previous version. Next you will need to change the checkout directory to the folder that you created earlier but then create another folder inside that called ‘www’. This folder is where the path for the files will go. Once that is done you can press “OK” and it will go through the web address and find and add a copy of all the files. Another useful feature that I have been using is the add button. When you right click on the folder and hover over “TortoiseSVN” there will be an option to add. This button is used to add new pages or folders to the queue ready to push to the server for other users. 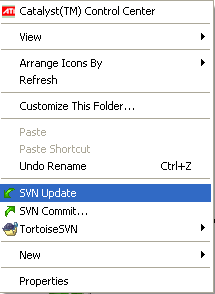 The last two of the main options SVN has to offer is the update and the commit options. These two options will be used frequently as you will need them every time you want to edit a website. The update button will update the folder with all the changes that the server has been given. The committing button is used when an exclamation mark pops up over a file or folder. If you commit the file it will be updated on the server for everyone to use. Neither of these will delete anything but merge the two copies together so that it will always be up to date with all the latest text or images if you were to be adding to it. Before updating or committing it is always a good idea to add the pages before you update as these don’t upload automatically. TortoiseSVN is a great piece of software that allows you to make changes to the webpage without having to send it out to everyone else in the office that would need to work on the site. It can also help if a member of staff goes off ill then someone else can pick up where the other user left off without needing to log on to their user account.